Sasa Clearance Sale is back with massive discounts and more product varieties!!! 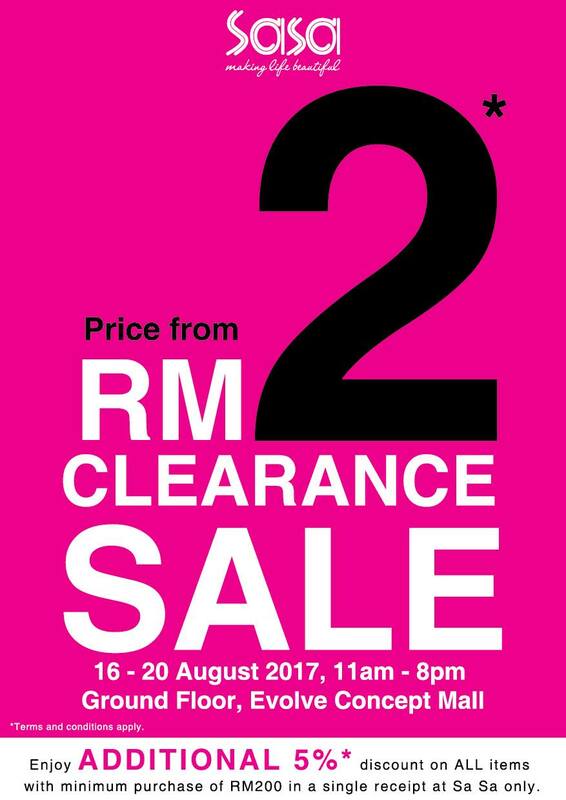 Discounted promotional price from RM2. Enjoy additional 5% discount on ALL items with minimum purchase of RM200 in a single receipt at Sa Sa only. You may find us at Ground Floor, Evolve Concept Mall from 16 August onwards until 20 August from 11AM - 8PM.